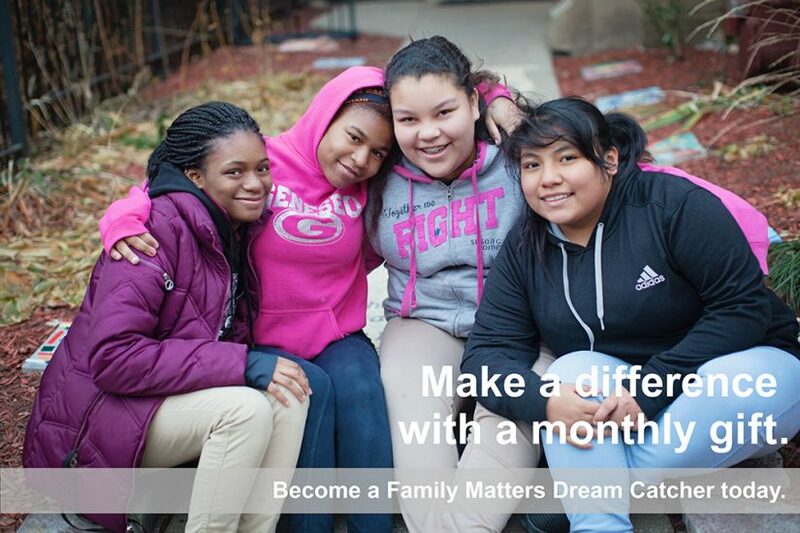 Thank you for becoming a Family Matters Dream Catcher! To set up your monthly donation, please click the turquoise "donate" button below. Please ask if your company is one of the 20,000 US companies that matches charitable donations – your contributions could go twice as far! Thank you for your support – we are so grateful for your commitment to Family Matters!